I want to let you in on a secret... 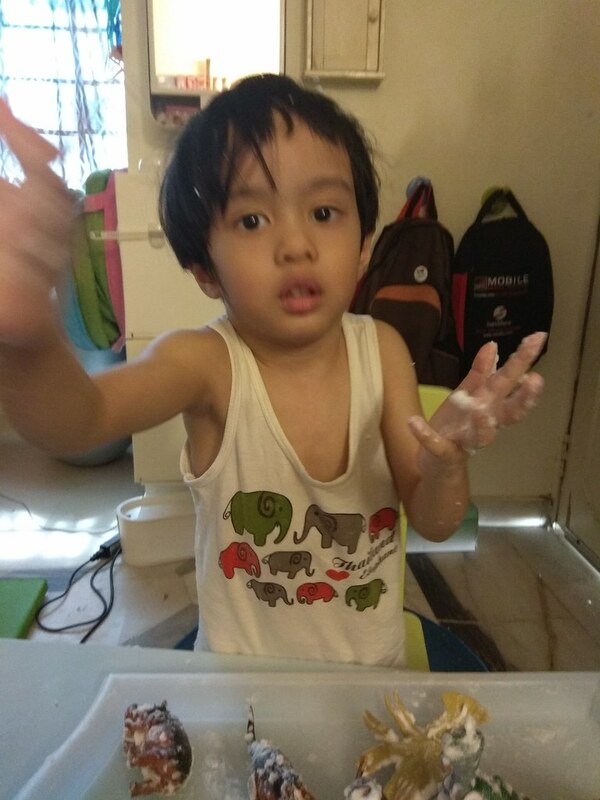 I love messy sensory play as much as Arif does! And playing with shaving cream has got to be one of our favourite sensory activities. For one thing, it's fun and as a mum, I am happy to say that it's 'clean.' By this, I mean there's hardly any mess and the residue is easily washed off! 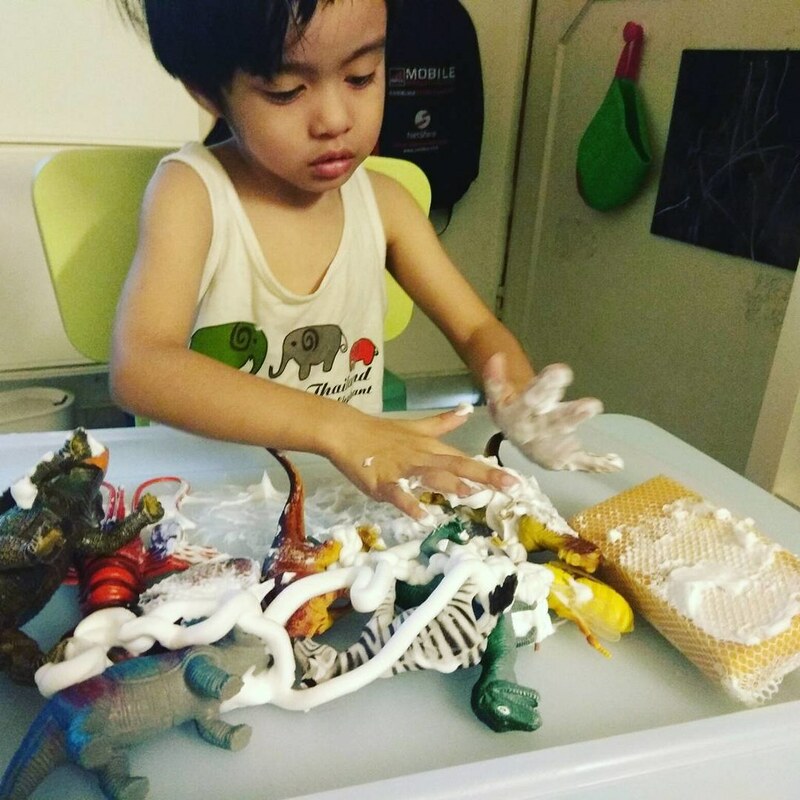 There are several ways you can play with shaving cream, but this time round, we decided to give Arif's dinosaurs a foam bath :) Though it all seems like child's play, to me it's significant that Arif can play with shaving cream, because in the past, he hated touching anything that was wet and sticky. Over time, however, therapies have helped him to feel more at ease with these textures. All that we needed was a large tray, some dinosaurs, shaving cream and a sponge. 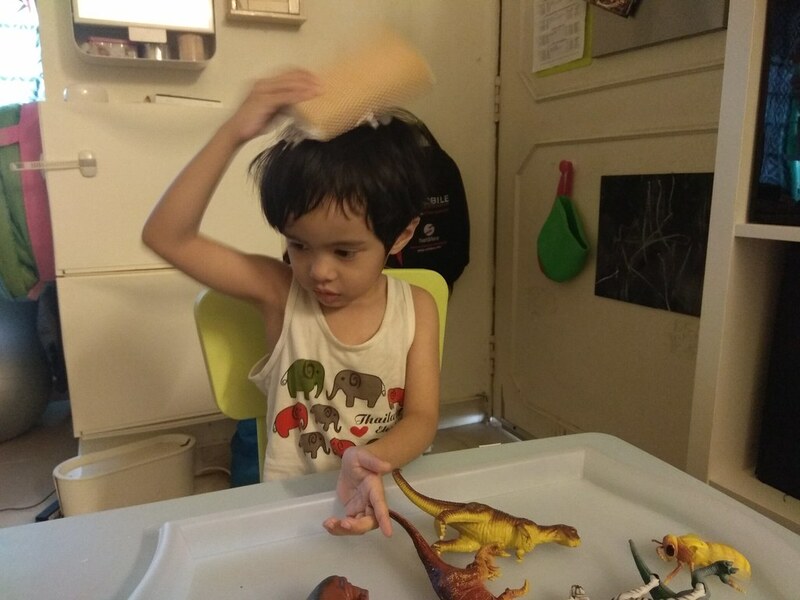 The sponge is there so that Arif can clean off the dinos. The sponge is also handy for applying the foam onto your hair!